Come. Come close. Closer. Look…it's coffee. Hail the ever sacred coffee. How can a morning ever be started without? It simply cannot. And I have coffee to share! 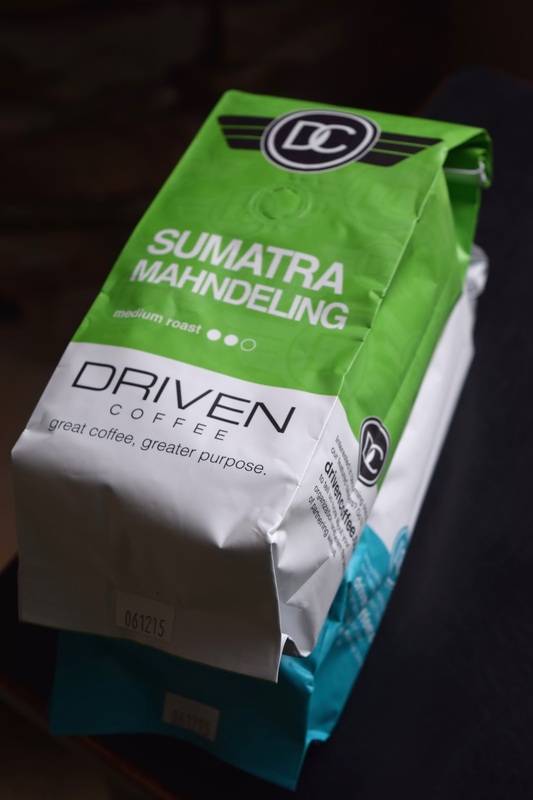 A local coffee roaster, Driven Coffee from Buffalo, MN is sponsoring a giveaway! Beyond exciting! My blog's first ever give away! All you need to do is head to my Facebook page, 'like' my page, and leave a comment answering this question: Where in the world was your most delicious cup of coffee? Now, back to coffee! Making iced coffee takes a little bit of effort, but really is quite simple and because your fridge will possess a jug of black magic for the next 3 weeks AND you'll save time not running into the coffee shop because whipping up iced coffees at home is faster AND you'll save money because no more temptation while waiting in line considering that pack of shortbread cookies I'm wondering why you aren't brewing up some coffee right now!? 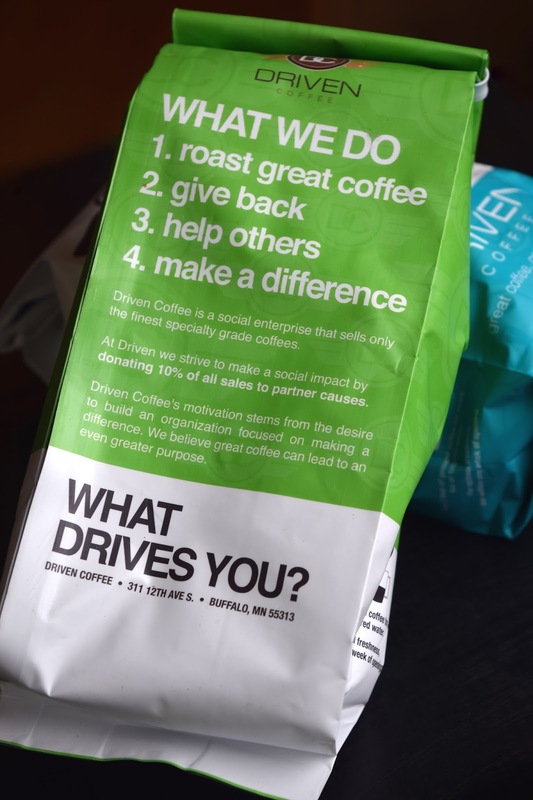 Driven roasts artisan coffee that doesn't even compare to commercial coffees in quality and taste, this coffee is truly Coffee Snob Approved, the Coffee Drinkers Coffee - smooth, dark, seriously fragrant and a wonderful way to get your get-up-and-go-pants on in the morning (or anytime of day). Plus, super fantastic that a portion of their proceeds go to charities like Feed My Starving Children. To get yourself some Driven you can order from their website. Looking for a new, fresh fundraiser for your organization? Driven has your next fundraiser covered with gourmet chocolates to pair with their artisan coffee. 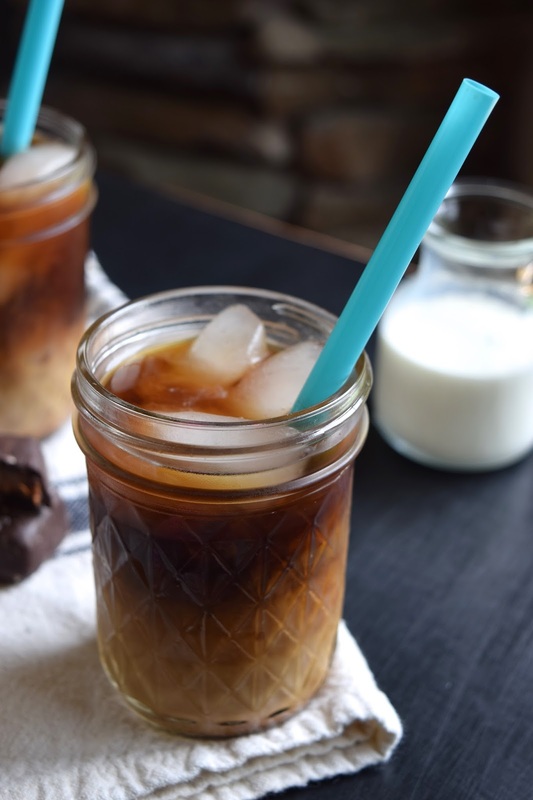 Now to make iced coffee get yourself some good, dark, no, wait… good and intensely dark coffee. Fresh grind your beans and pour into a gigantic receptacle. After coming up short on a "gigantic receptacle" in my own kitchen I briefly considered my husband's five gallon bucket collection, but then quickly scratched that (dirty) idea, choosing instead to adapt Pioneer Woman's recipe that called for 1 pound of beans and 8 quarts of water to 3/4 pounds beans to 6 quarts of water. Which was a great thing because that left me with enough coffee to brew a couple fresh pots each morning this week. You don't have a gigantic container either? The recipe below is linked to a receptacle I would highly recommend. 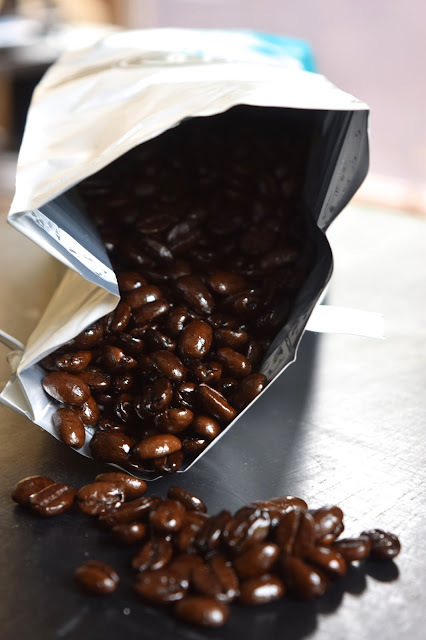 Now, the beans and water soak overnight or up to 24 hours, depending on how strong you want your coffee. Using a cheesecloth-lined bowl, strain the dregs out. Chill and store in the fridge for up to three weeks. Drink with lots of ice, half & half, sugar, and (hopefully) booze. Get ready for a jolt! This stuff is strong! Tell me… Where in the world was your most delicious cup of coffee? Grind coffee beans and place in a large container, like this one . Pour water over and stir to combine. Cover and let sit on the counter for 12-24 hours, depending on strength desired. Drain dregs through cheesecloth into a clean bowl, pitcher or other suitable storage receptacle. Refrigerate until ready to use, up to 3 weeks. 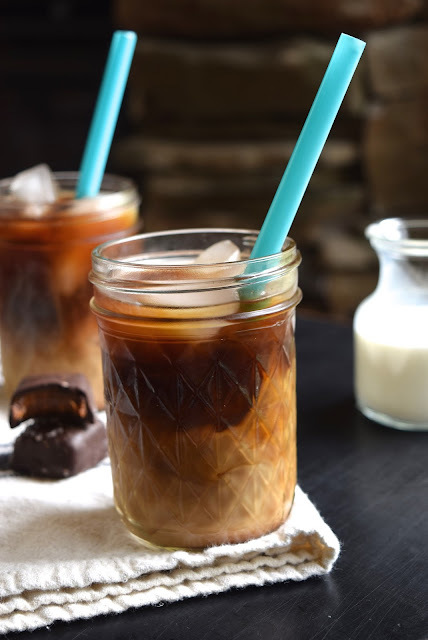 Serve over ice with cream, sugar, sweetened condensed milk, booze, whatever suits your fancy. My most delicious coffee was in this tiny little cafe at my college - the owner was a cute little old woman who totally knew how to whip up a yummy latte! Lovely! Thanks for the comment. Island of Oahu, 1985, street-side breakfast place. The coffee was pure, un-blended Kona coffee. Had never enjoyed coffee black until that moment. Skipped the waffles cause I couldn't get enough of that coffee. Kona coffee — the absolute best!